Nehora.com is a complete online Judaica store bringing you the best prices in all Judaica items such as Seforim, books, gifts and more. Nehora.com is located in Brooklyn NY with many years of knowledge and experience in selling Jewish books and Judaica items. Our goal is to bring you the largest selection of any Judaica items you may want, with the easy click of the mouse. We are focused in helping you out with any questions you may have as well as bringing you the fastest and best service possible. We have a customer service representative available to answer any questions by phone, Sunday-Thursday 9:00 am - 5:00 pm (EST) and Friday 9:00 am - 1:00 (EST) pm by calling 1-347-766-6022 or using our toll free number, 1-866-463-4672. Additionally, we have representatives available to answer any questions you may have via email at info@nehora.com. Nehora.com holds a very high regard when it comes to our customer's privacy. We will not sell information provided by you to any institutions. As a customer you have a right to be concerned about giving over credit card information via the web. Nehora.com has taken many steps to ensure your safety by using the highest forms of encryption security. 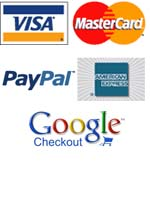 However, if you still do not feel comfortable using your credit card on our website, feel free to checkout using pay pal, Google checkout, or by calling us to place your order at 1-347-766-6022.